You can’t beat Cancun as a holiday Destination – Cancun, in Mexico, is becoming more and more popular as a tourist destination in recent years. People who are tiring of their annual sun holiday to Europe and are looking for a little bit more adventure have got to try Cancun. Situated on the south-east coast of Mexico, Cancun’s warm, white, powdery sand beaches and turquoise crystal clear waters, together with the famous Mexican hospitality, already stake up to being the key ingredients for a great holiday. Four decades ago Cancun was a deserted island and few even knew of its existence. The coast was comprised of marshes, mangroves, jungles and unexplored beaches. The first hotels opened in 1974, and from 1989 Cancun has become Mexico’s most important tourist destination. You will never run out of things to do during your trip to Cancun. You can enjoy a wide range of watersports, rise to the challenge on the championship golf courses, take the family to one of it’s world renowned eco-parks, or just lie back and be pampered at one of the luxurious spas. For those looking to tie the knot in this romantic location and are planning the ultimate Cancun wedding, you need look no further. 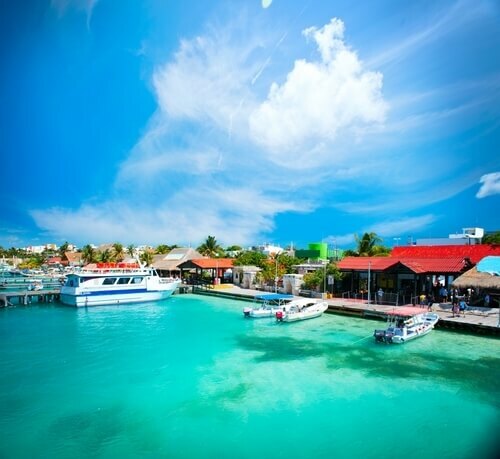 Cancun watersports will delight even the most avid watersports enthusiast. Cancun watersports offer some of the best scuba diving, snorkeling and sportfishing in the world! You can even charter your own sailboat with crew and equipment, for an adventurous day out on the open sea or a romantic sunset cruise! For the most exhilarating adventure tours in Cancun, you can enjoy some of the longest zip lines in Latin America, go mountain biking, drive through the jungle in open top jeeps and swim in cenotes, otherwise known as sinkholes. Cancun restaurants offer such a varied choice of cuisine, with everything from downtown traditional Mexican restaurants to ultra-chic restaurants dotted alongside the Nichupte lagoon. You will find something to suit all tastes from Italian to Oriental and Seafood to Steaks, and get fantastic service with a smile wherever you go. Cancun nightlife is the main attraction for many visitors. The Hotel Zone boasts some of the best nightclubs in the world, playing everything from salsa to disco to R & B and live music venues. 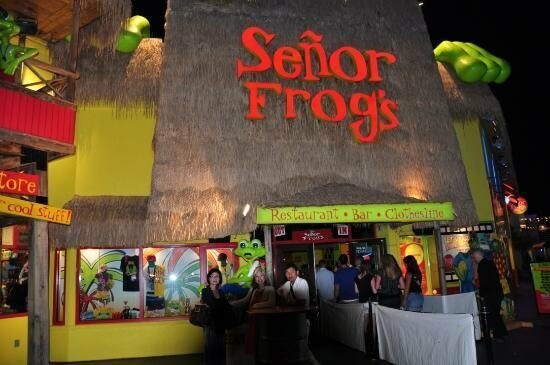 Some of the better known Clubs are the City, Dady O, Coco Bongos and Senor Frogs. So whether it is your wedding day you are planning or a family holiday to suit all, a trip with the pals to the wild and unknown, or a romantic holiday for two, Cancun seems to tick all the boxes. In between golfing and the spas, shopping and the restaurants, there is so much time to relax on the beach or by the pool.